BM 3237 - Hunting dining chair in patinated oak and natural leather. Maker Fredericia Stolefabrik. 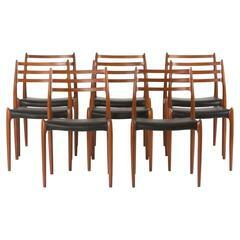 Wonderful set of eight Børge Mogensen dining chairs, model no. 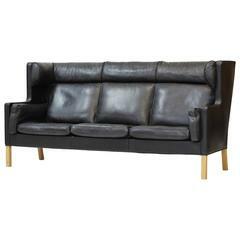 577 for Karl Andersson & Söner, with saddle leather on oak frames, great patina.